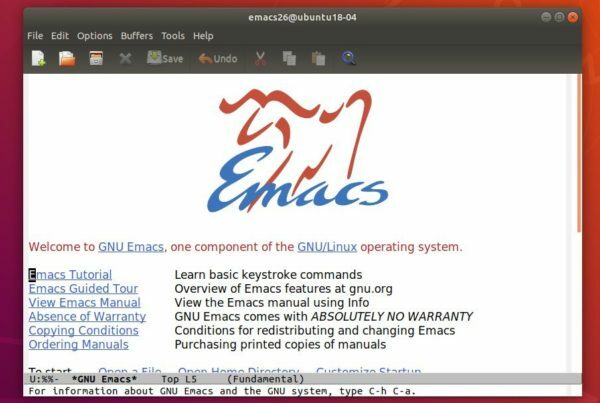 Gnu Emacs text editor 26.2 was released yesterday with a wide variety of new features. 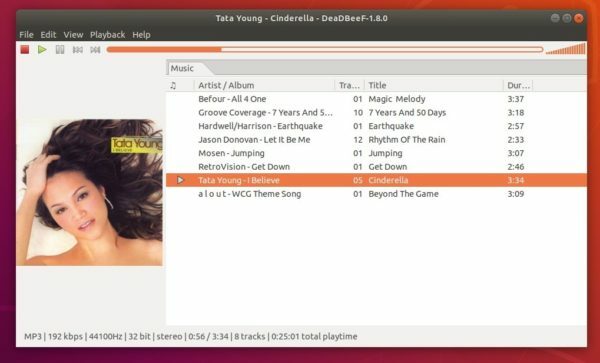 Here’s how to install it in Ubuntu 16.04, Ubuntu 18.04, Ubuntu 18.10, Ubuntu 19.04, and derivatives. Emacs modules can now be built outside of the Emacs tree source. Compliant with the latest 11.0 of the Unicode Standard. In Dired, the ‘Z’ command on a directory name compresses all of its files. New toggle ‘ibuffer-do-toggle-lock’, bound to ‘L’. The value for ‘imenu-auto-rescan-maxout’ increased to 600000. Supports 24-bit colors on capable text terminals. And many other changes, see the changelog. Type user password (no asterisk feedback due to security reason) when prompts and hit Enter. For text-only interface, replace emacs26 with emacs26-nox in the last command. And Ubuntu 18.04 and higher can skip apt update command. Once installed, open emacs from your system application launcher and enjoy! The PPA can be removed by going to Software & Updates -> Other Software tab. 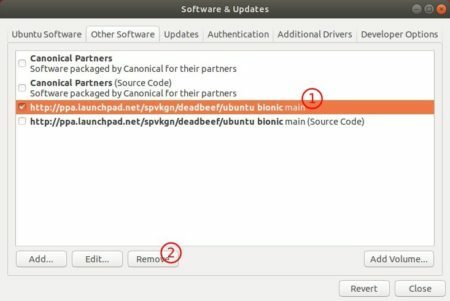 apt-get update is not required any more in Ubuntu 18.04 since adding PPA automatically refreshes system package cache. 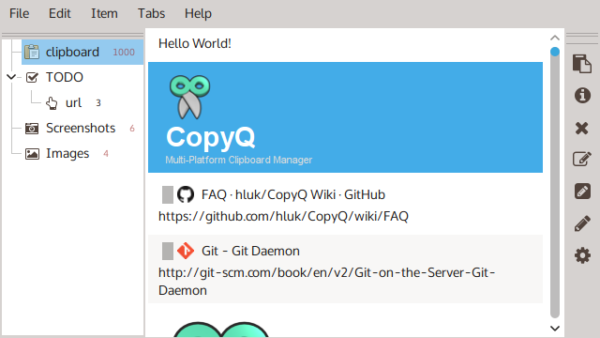 CopyQ, advanced clipboard manager with editing & scripting feature, released version 3.8.0 with new script functions and performance improvements. Custom settings from scripts now saved in “copyq-scripts.ini”. Detect encoding for other text formats. Faster app start, smaller memory footprint. 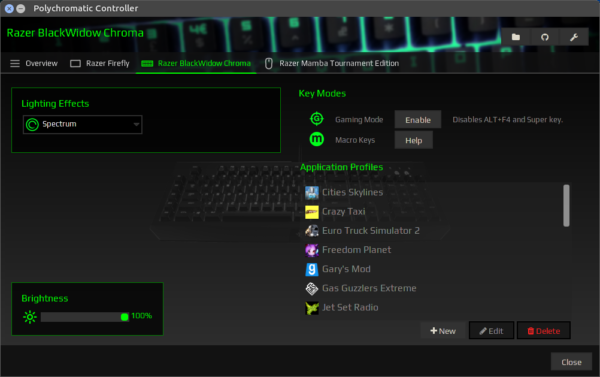 FakeVim improvements and many bug-fixes. The official PPA repository has made the latest packages for Ubuntu 16.04, Ubuntu 18.04, Ubuntu 18.10, and Linux Mint 18.x, 19.x. Once installed, start the clipboard manager from application launcher and you’ll see the icon in system tray area.